After downloading the app, you have free access to one beautiful, complete issue. I liked what I saw, so I tried to register so that I could subscribe. Put in my email and password and was left "logging in" for 15 minutes. I should note, I recently tried using another Pocketmag app and had a similar problem. 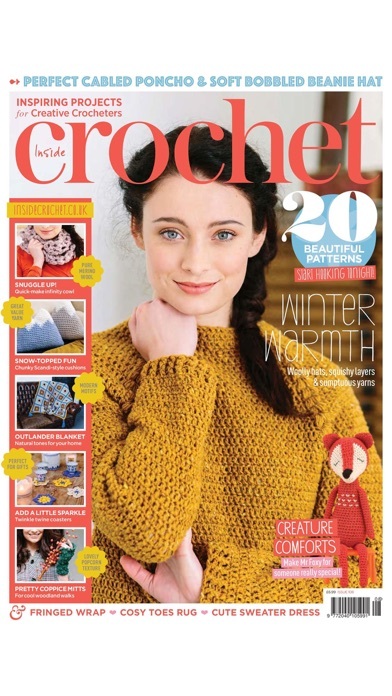 Looks like a great mag, but I won't trust the app for purchases, even if it ever logs me in. My favorite magazine hands down. Bought a subscription. First issue downloaded fine. Second issue will only download 4 pages. A bug? 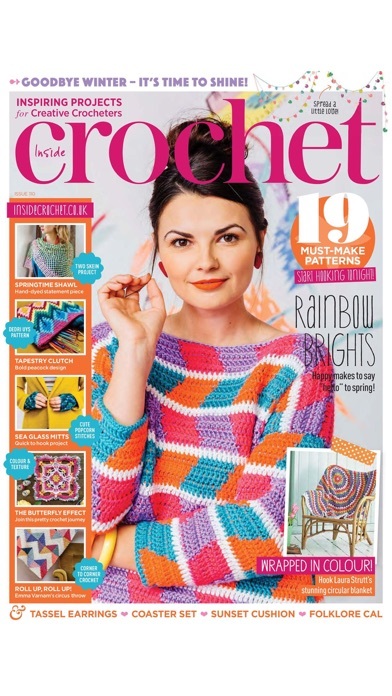 This is the best crochet magazine, love it. And the app is great, have had no trouble with it. 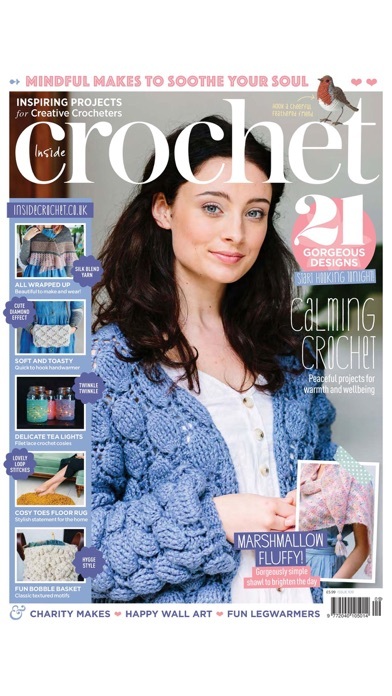 Great magazine. Lots of patterns. Love it. One of the best magazines out. 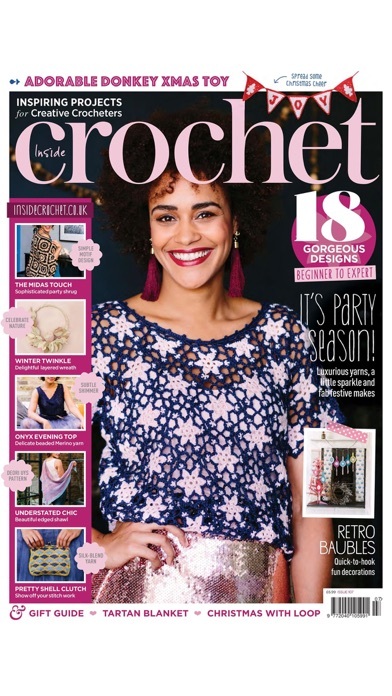 I think this is probably the best Crochet Magazine I've found. 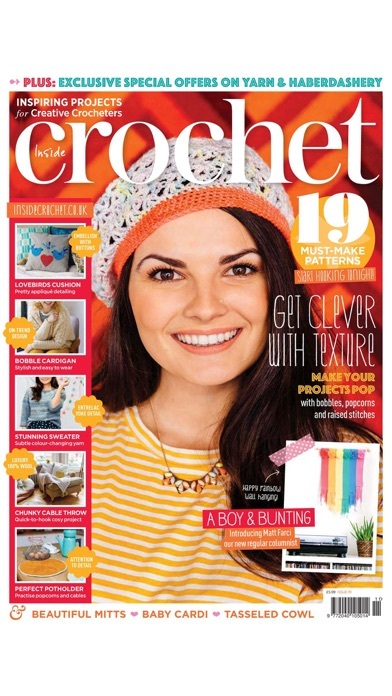 The patterns are very modern with a great deal more diversity than other crochet magazines. I was very disappointed when I discovered that this magazine could not be delivered to the US, and was absolutely ELATED when I figured out I could purchase a digital subscription!!! Nice Patterns. Good to see how another country hooks. I wish the mag was more interactive. How about some links to the cool stuff in the mag?